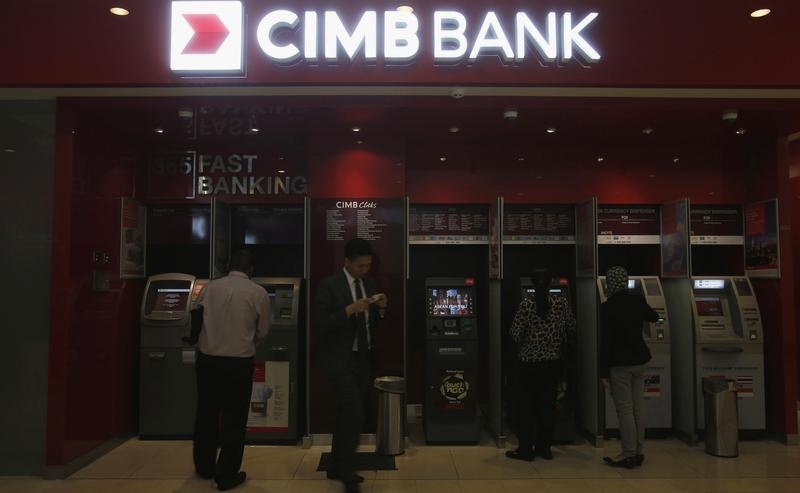 Merging CIMB with two smaller rivals would create a lender with $188 billion in assets. Bulking up to cut costs at home and compete abroad could make sense. But Malaysia’s rapid loan growth will ease as rates rise. The “mega Islamic bank” may be pursuing scale for its own sake. Customers use cash machines at a branch of Malaysia's CIMB Bank in Kuala Lumpur February 7, 2013. CIMB Group, RHB Capital and Malaysia Building Society (MBSB) announced on July 10 that they had started talks about a merger that would create the country’s biggest bank. The three lenders said they had received approval from Bank Negara Malaysia, the country’s central bank, to begin merger talks. The three have entered into a 90-day exclusivity agreement to negotiate pricing and structure to create what they called “a mega Islamic bank”. “There is a prima facie case for a value-creating merger between the three entities and we want to get into detailed discussions to validate it,” said Nazir Razak, CIMB’s chief executive, who is due to become chairman in the autumn. The three banks had a combined market capitalisation of 88.9 billion Malaysian ringgit ($27.9 billion), based on closing share prices the day before the news. Their combined assets at the end of 2013 were 597 billion Malaysian ringgit, according to Thomson Reuters Eikon. Shares in CIMB dropped 2.6 percent on the morning of July 11th, while RHB shares rose 3.6 per cent and shares in MBSB rose 4.8 percent. Malaysia’s state pension fund, the Employees Provident Fund, owns 14.5 percent of CIMB, 41 percent of RHB, and has a 65 percent stake in MBSB.